» Best Latex Pillow. An Organic and Environment-Friendly Choice. Latex pillows are offered in today’s market as an organic, natural and “green” alternative to other pillow types. It is simply because they are made from latex foam, a naturally occurring substance that can be extracted from the sap of the rubber tree (Hevea brasilienis). These pillows first came into the market in the 1950s and have since evolved to make use of synthetic latex as well as natural latex fillings. When shopping for your best latex pillow, you are bound to encounter products from different manufactures all claiming to be the best pillows in the market or sighting a myriad of benefits for your back and general sleeping posture. How then do you pick one that is suitable for your needs? 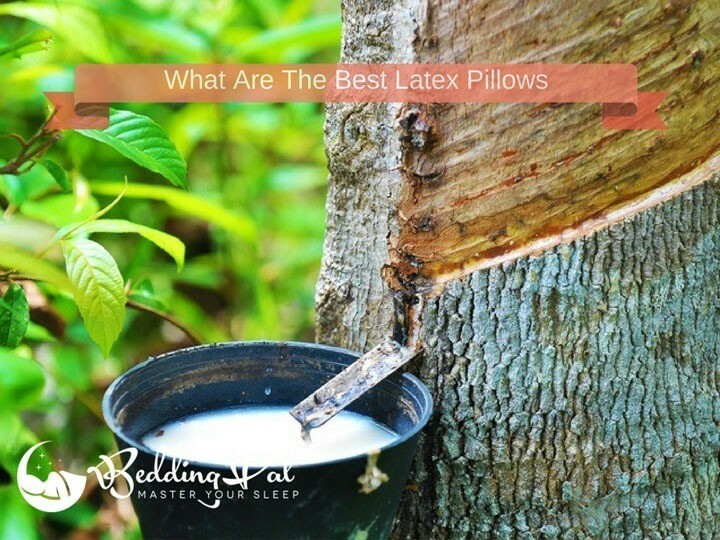 To answer that question, one needs to understand exactly what a latex pillow is, its benefits, and what features to look out for when shopping for one. Who Should Buy a Latex Pillow and Who Shouldn't? As earlier mentioned, latex pillows in today’s market are made of either natural latex or synthetic latex. Even when a pillow is labelled as being natural, it may still consist some synthetic components. The blended latex pillows contain different proportions of natural latex and polyutherane foam. Since making 100% natural latex foam can be rather costly, some manufacturers will opt for blended latex foam pillows to lower their manufacturing costs. The synthetic variations are manufactured primarily from styrene-butadiene rubber (SBR). This component is derived from a mixture of styrene and butadiene, all petroleum products. 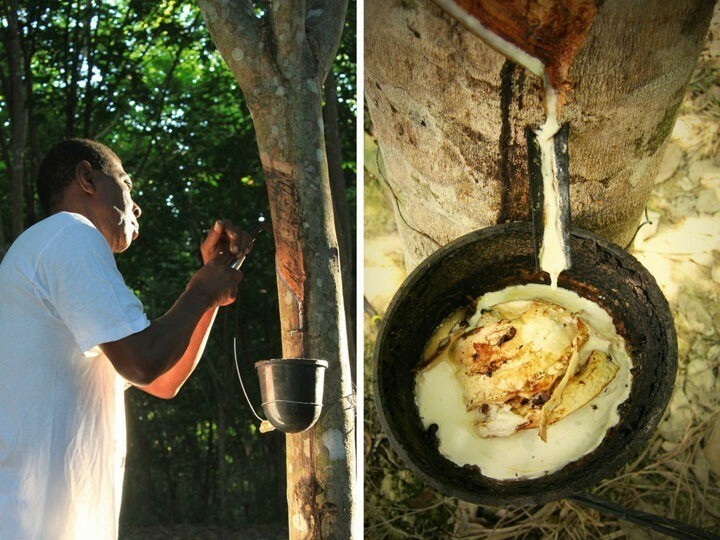 Natural latex is made from the rubber tree sap that is also known as rubber serum. Synthetic latex pillows have a smoother texture than those made form natural latex. Both natural and synthetic pillows have an instant bounce back effect that keeps them from forming a depression over time. 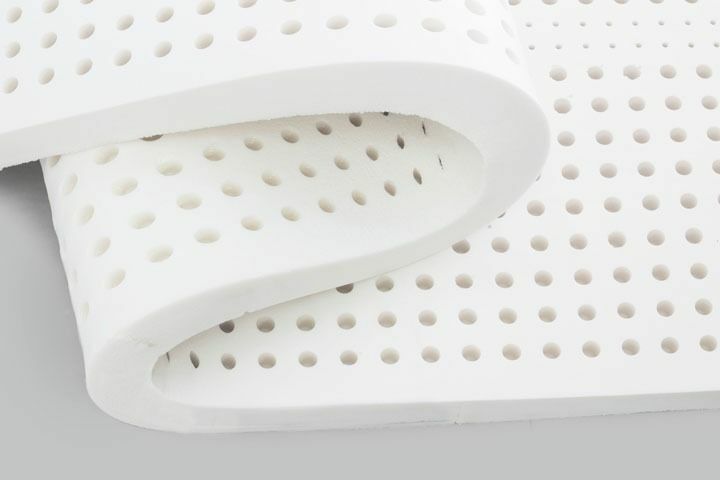 Dunlop and Talalay method are two ways to convert rubber tree sap into a solid foam. The latter involves a flash freezing process that is absent from the Dunlop process. This freezing is done to stabilize the bubbles. Talalay method results in softer, more bouncy foam than the Dunlop method. Dunlop method is a much older technique compared to the Talalaly way. Latex pillows help to keep the head and neck aligned. Their sturdy foam helps to fill in the space between the head and the neck, raising them to be in line with the rest of the spine. This way, side sleepers avoid waking up with a stiff neck. They help to reduce cases of snoring. Your head and neck are comfortably cradled keeping you from continually moving about in your sleep. They are heat resistant, thus, improve your sleep. They are made to be breathable and to allow sufficient air circulation within them. It keeps them from warming up allowing you to sleep comfortably through the night. They help to reduce allergies. Since natural latex pillow does not provide a suitable environment for the breeding and accumulation of dust mites and other microbes, users are likely not to suffer from dust allergies or other microbe related allergies. They help to maintain a neutral spine column even as you sleep. For side sleepers, this is achieved by filling in the space between the head and the neck. Back sleepers can use low loft variations to keep the head and neck from rising past the shoulders while still offering the necessary support. They adequately support the head, neck, and shoulders. They have an instant bounce back that helps to maintain the shape of the pillow and support you as you sleep. It, in turn, results in better, pain free sleep. 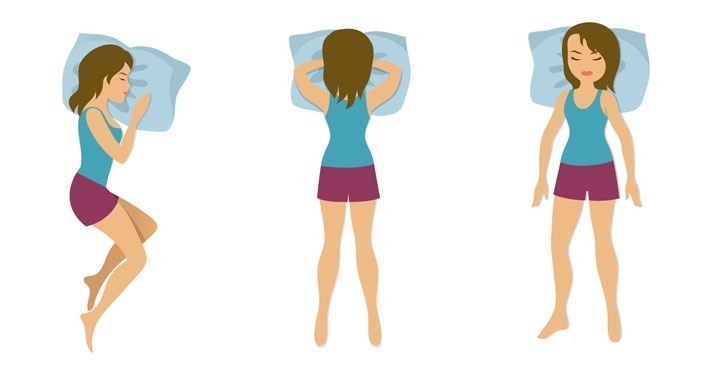 Different people will have different sleeping positions. Latex pillows might be a suitable option for those who prefer to sleep on their sides. To keep your neck and back from aching, when you wake up, it is advised that you find a neutral position in which to sleep in. It means that your spine should be aligned in the same way it would if you had been in an upright standing position. Sleeping on one’s side creates space between the head and the neck, forcing the spine to lose its alignment resulting in neck and back pain. One is, therefore, advised to find a firm and supportive pillow to help keep the spine aligned. Due to its bounce back characteristic, a latex pillow will provide side sleepers with the much needed support provided it is of the right height/thickness. For a more specialised solution, check our list of pillows for side sleepers. If you find it more comfortable to sleep on your back or you like that sinking feeling when you lay your head on a pillow, then these are not the pillows for you. The sturdy nature of the latex foam keeps it from sinking in. For back sleepers, this may result in neck and, or back pains. It is because the pillow will force the head and the neck to lift losing the alignment of the spine. For a more specialized solution, check our list of pillows for back sleepers. Those who want a pillow to sleep in some varying positions throughout the night might want to opt out of using a latex pillow. Such sleepers require pillows that are easy to shape and adjust depending on their sleeping position. Moreover, people who sleep on their belly should avoid typical latex pillows. They must either change the way they sleep or choose pillows made for stomach sleepers. Latex pillows are generally categorized into three categories; contoured, standard and shredded pillows. Shredded Pillows: As the name suggests, shredded latex pillows are made from shredded pieces of a latex slab. These pieces are then stuffed into a zipped pillow case to make a pillow. These often require you to assemble them yourself to determine the right loft for your needs. Contoured Pillows: Contoured latex pillows, on the other hand, are made from solid latex foam. Like other contoured pillows, these are molded to follow the natural contours of the human head and neck. Standard Pillows: Standard latex pillows look like your usual rectangular pillow differing only in the materials used. Your Sleeping Position: Since pillows play an integral role in maintaining the integrity of your spine while you sleep, your sleeping position is a key determining factor of the type of latex pillow that you choose. If you are a side sleeper, then a standard or contoured latex pillow would probably be the best pick for you. Its sturdy nature provides the support necessary to keep your head and neck lifted and your spine aligned. If you are a back sleeper or you sleep in a variety of positions, then a shredded latex pillow might be what you need. Since it is malleable and its loft is adjustable, you can customize it to meet your needs. Size Of The Pillow: Factoring in the size of the pillow means that you keep both the thickness/ height and width of the pillow in mind. The height of the pillow is crucial as it determines the pillow’s effectiveness at offering support. Its width simply determines how suitable it is for your bed. Be sure to match your pillow size to your bed size. Durability: One of the critical factors to keep in mind is the pillow’s durability. A good tell tale sign is the pillow’s warranty. Opt for a pillow whose warranty is between three and five years. Breathability: Shredded latex pillows are more breathable than their solid counterparts. If you live in a hot environment or prefer pillows that help to dissipate body heat while you sleep, then a shredded latex pillow would be a better choice for you. Budget: While your comfort is not something you should compromise on, it is wise to keep your budget in mind when shopping for a latex pillow. Compare and contrast pillows from different manufacturers to get competitive prices. Brand Reputation: Buying a latex pillow from a well known brand is much better and safer than buying from a new comer. Brands that are well known have been tried and tested, and there exist third party reviews about their products that are unbiased. It is, therefore, easier for you to verify the quality of the product with such brands than with those just coming into the market. Health Needs: Different latex pillow types have in the past been associated with some health benefits. Latex pillows, especially natural ones, have been found to be helpful for those suffering from dust allergies. They have also been associated with the alleviation of back, neck and shoulder pain as a result of poor sleeping postures as well as reducing snoring. Shopping for a suitable latex pillow is bound to be a confusing affair. There are numerous brands and products on the market, making it difficult to separate the wheat from the chuff. Let’s take a quick look at some of the best latex pillows that have made a name for themselves in the market. The Z 100% natural Talalay latex zoned pillow has earned a place in this guide due to its ability to provide the necessary support to your head, neck and shoulder as well as to improve your sleep. The use of zoned technology and a pin core design provides adequate support for the head, neck, and shoulders and improves the pillow’s breathability. It makes it efficient at heat dissipation, making it possible for the pillow to stay cool throughout the night. To help create a better sleeping environment, the pillow comes with a Tencel cover that is removable. It is also capable of temperature and moisture regulation helping to keep you cool and comfortable as you sleep. One can choose the desired firmness and loft depending on their body size, length of their neck, size of the bed and sleeping pattern. It is available in a high and low loft as well as plush and, or firm densities. It, therefore, caters to the need of different people. Improves the spinal column alignment. Some users have found that it has a strong latex smell when new. Some users reported that it lacks durability and begins to come apart after about two to five years of use. The Beautyrest latex foam pillow is designed to provide support and comfort to its users while remaining easy to clean and maintain. These are all qualities to look out for in a pillow making it a necessary mention in this guide. This pillow makes use of a resilient bounce back cell structure to keep it from flattening with use. It is also made to be soft and to conform to the natural contours of a human head, neck, and shoulders. You, therefore, do not have to keep shifting your position on the pillow allowing you better and more comfortable sleep. It comes with a removable, 300-thread count, cotton cover that can be machine washed. The foam itself can be spot cleaned. These features eliminate the worry of dirt and grime accumulating on the pillow cover and within the pillow itself with continued use. It makes use of natural latex which gives it its antimicrobial properties and keeps it from accumulating unpleasant odours. Maintains its shape even after continued use. Compatible with a variety of sleeping positions. Soft and effective at supporting the head and the neck. Its sinking effect makes sleeping rather uncomfortable for some users. Some users found the brand to have inconsistent lofts for different pillows of the same type. When someone mentions a latex pillow comfort comes to mind. The Brooklyn bedding Talalay Latex Queen firm pillow maintains the overall theme of comfort and support of latex pillows. It makes use of Talalay latex to give it its springy feel. This pillow helps to offer support to your head and neck. Thanks to its springy nature, this pillow pushes back against the weight of your body helping to keep your head and neck in place allowing you to maintain a neutral spinal column as you sleep. It not only helps you achieve a more comfortable sleeping posture, but it also keeps you from developing any neck and shoulder pains. Its large cell structure helps to improve its breathability making it effective at heat dissipation. It, therefore, remains cool allowing you to sleep better and eliminating the need to keep turning your pillow in the night. This Talalay latex pillow has a loft of about seven inches and weighs approximately five pounds. The latex foam gives this pillow its hypo allergenic qualities. It comes with a Bamboo charcoal cover that is washable for ease of cleaning. Provides adequate support for side sleepers. Some users found that it loses its firmness over time. Some users found it to have a strong chemical odour. The high loft was a bit too much for some users. As the name suggests, this pillow is made from natural latex extracted from the rubber tree. It combines the natural comfort and support of latex with that of organic cotton. With the world going green and more people preferring organic products, we felt the need to include this pillow in the review. It makes use of a pin core design to enhance airflow making it more breathable and effective at heat dissipation. It keeps it from warming up during hot weather and hardening during the cold weather. It also helps you sleep better as you do not have to keep interrupting your sleep to flip the pillow over. The resilient nature of the latex makes it effective at offering support for your neck and back as you sleep. In keeping with the all natural and organic theme of the pillow, the outer zippered cover is made from organic cotton and is easily washable. Does not have a strong odour characteristic with latex products. Provide adequate support for side sleepers. Some users found that it loses its firmness and bounce after several months of use. Some people find it too soft. Shredded pillows offer users the freedom to determine the ideal loft of their pillows. The Essence of Bamboo Rayon Pillow is no different. Its key feature is its shredded latex and poly fill blend. This combination helps to not only improve the pillows airflow but its bounce and softness as well. It makes it effective at offering support to your head and neck while you sleep as well as heat dissipation. Its plush loft makes it a suitable luxury pillow and improves its ability to react to the movements of your body and push back to keep your head from sinking in. It, therefore, is a comfortable alternative to down pillows. What’s more, this pillow comes with a money-back guarantee should you find it to be unsatisfactory. Provides adequate support especially to side sleepers. Some users found that it flattens out and harden up after a few months of use. To get the most out of your pillow, you need to take care of it. Remember that a pillow made form natural latex or blended latex is bound to degrade at some point. The best you can do is slow the degradation process. One way to do this is to keep it away from direct sunlight. Frequent exposure to sunlight will cause the latex to breakdown resulting in discoloration and hardening of the latex. It is also wise to keep them away from naked flames. Latex pillows come with removable covers that make them easy to clean. While the covers can be machine washed, the pillows cannot. Spot cleaning is advised for the latex pillows. You can dry the pillow by squeezing it between two dry towels and later air drying it. Ensure that your pillows are completely dry before you replace the pillow covers. Latex pillows help improve your sleep. A good night’s sleep and a comfortable place on which to rest your head are important in ensuring the general health and well being of any human being. While latex pillows offer and alternative to down pillows, their effectiveness at providing support for the head, neck, shoulders, and back are subject to the user’s size and sleeping postures. It pays to consider your sleeping posture and comfort while shopping for the best latex pillow. Once you have found the right pillow for your needs, remember to clean it regularly (spot cleaning, not machine washing and whatever you do, do not soak it in water) and dry it away from the sun before using it again. Learn from other people’s experiences before spending your money on a latex pillow. While the effectiveness of the pillows is rather subjective, looking through customer reviews will give you a good indication of what to expect from the pillow both in the long and short run. Lastly, be mindful of your health needs when choosing a latex pillow. If you are allergic to latex or suspect that you are, avoid using these pillows at all costs (seems rather obvious but it had to be said).